As a memorial, individual soldier burial information is included in the Roster on this site, through links to findagrave.com. 1) Contact me with the Find A Grave link to an individual soldier so that I can add it the Roster database. 2) Use the Contact Me form to send the information and photo for a soldier’s grave, and I will add it to the Find A Grave site as well as the Roster database. Please include the name of the cemetery and its location (city/town, county, state), as well as a photo of the grave marker, if one is available. 6/6/2015 Announcement: Instead of adding burial information and photos directly into the web site Roster database, I will be transitioning to simply adding a link to the individual soldier’s memorial on the Find A Grave web site. 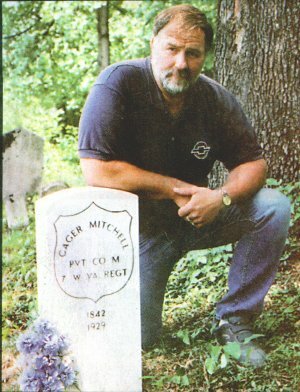 Do you know of a Civil War veteran whose grave needs marked?